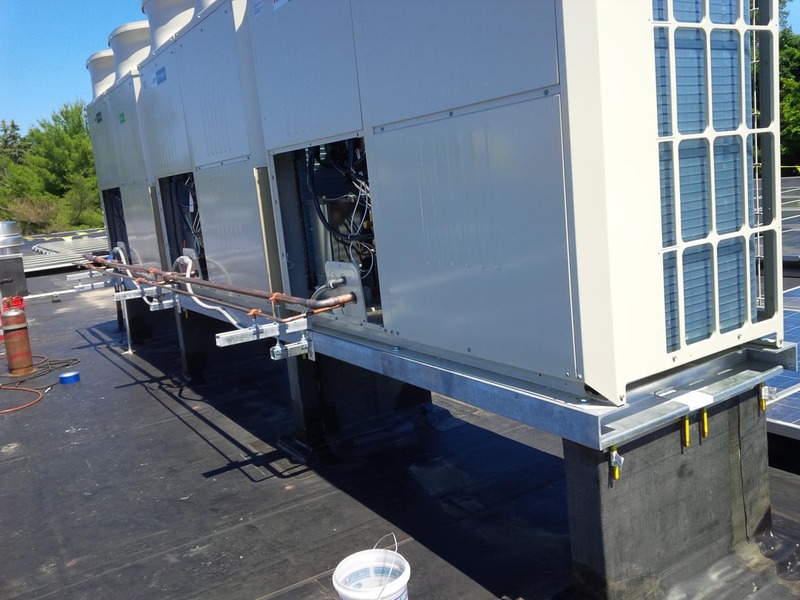 Novia specializes in a wide range of support systems for roof-mounted HVAC equipment designed and engineered to provide roof structure attachment in compliance with your local and IBC codes. 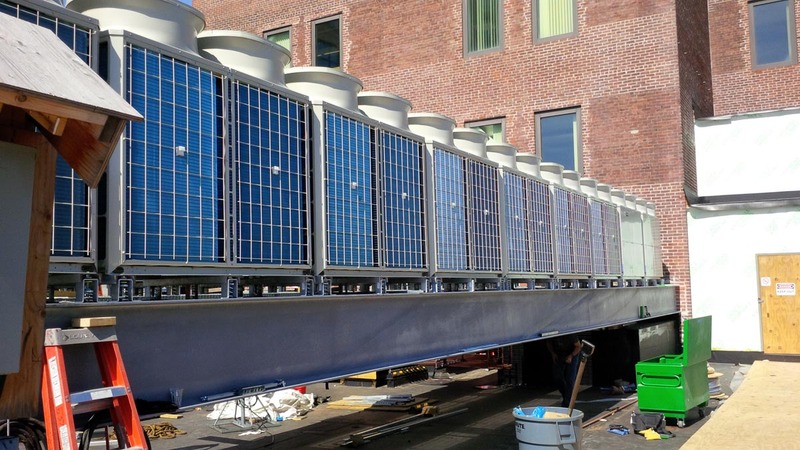 These support systems are offered in a variety of options to meet your specific project requirements. Each assembly is engineered to properly support your specific equipment based on the equipment location and unique building structure. Similar to the Novia VibCurb, we also offer our Flashable Equipment Supports with the addition of our RSM Spring Isolation System (see Isolation Mount product page). This option provides uniform support of the equipment along with effective means of vibration isolation while complying with wind-load and seismic restraint requirements. These rails can include custom seismic/wind-load engineering that includes a PE stamp for the state in which your project resides. 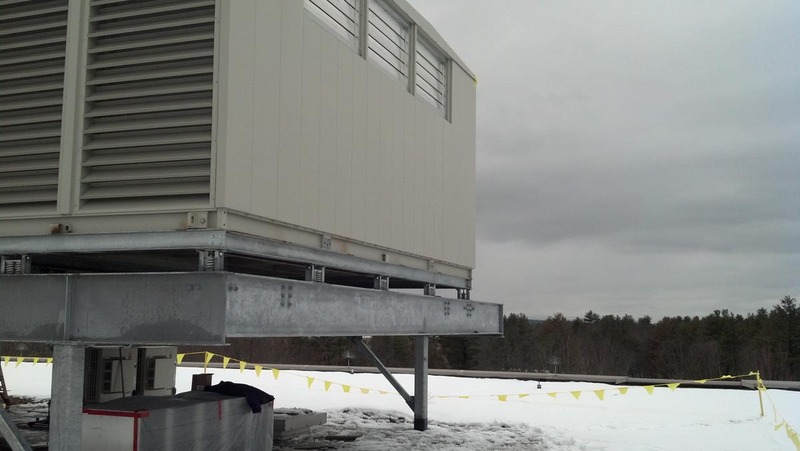 Whether your equipment is indoor or outdoor, Novia has the innovative design to fabricate a non-isolated equipment stand or isolation mount system to support the equipment when a custom steel support system is required. Our steel beam bases meet all specifications for equipment support bases and provide a rigid mounting and anchoring system for vibration isolated or non-isolated mechanical equipment. Novia is proud to be partnered with Carpenter & Paterson to provide a one-stop shop that will meet all of your equipment mounting and pipe support needs.